Later, a Cardiff policeman finds a man lying unconscious on the street in the dead of night, the apparent victim of an assault. At the hospital the next day, Dr. Mannering is shocked to discover that his patient -- on whom he had just operated hours earlier -- is now conscious and talking. The man says he is Lawrence Talbot and does not know how he came to be in Cardiff. Checking Talbot's story, the police discover that Lawrence died four years earlier. The two travel by horse-drawn wagon to Vasaria, the hometown of Dr. Frankenstein. Disappointed to find that Dr. Frankenstein is long dead, Talbot and Maleva decide to look around the ruins of the castle in hopes of finding Dr. Frankenstein's diary, which purportedly holds "the secrets of life and death". Comments: Let me ask you a question: how many times a month do you think the full Moon rises? Aw, you know the answer, right? Every school kid does. Just once. On rare occasions (once in a blue Moon, to be exact) it happens twice. But full Moons come around just about every night in Frankenstein Meets the Wolf Man. 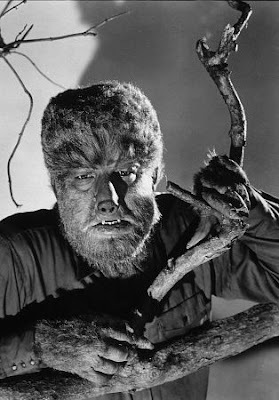 You might conclude that veteran screenwriter Curt Siodmak had a faulty memory, or perhaps a lousy grasp of astronomy, but what's the guy to do when, according to legend, your protagonist can only change into a wolf one night each lunar cycle? You can't have him annoy everyone by jabbering ceaselessly about the horrible, murderous deed that he will commit three-and-a-half weeks from now. The answer, of course, is to cheat a little. Lawrence Talbot turns into a wolf when the Moon is pretty full, so that he can squeeze in three or four nights of lycanthropic mayhem per month. So the werewolf becomes the victim of a kind of male menstrual cycle. And it's gonna take more than a bottle of Midol to get him through it. This may seem like a simple tactical decision, a little concession to the demands of a Hollywood plot, but it's like a werewolf's first kill: the subsequent ones come much easier. For instance, what has happened to the village of Frankenstein, whose namesake is universally despised? Now the locals are calling it Vasaria, and while anti-Frankenstein fever is still all the rage, the locals inexplicably invite Baroness Frankenstein to be guest of honor at the local New Wine Festival. Though they do regret their decision when, yep, the Monster shows up and smashes stuff. Proving once again that timing is everything. Even Talbot's mysterious costume changes during his lycanthropic episodes push us out of the movie. Talbot is in Dr. Mannering's hospital when we first see him transform into a wolf; once he's changed into the beast he is suddenly in Talbot's dark shirt and trousers, rather than the hospital-issue pajamas. When he awakens the next morning he is back in his room, wearing the pajamas again. Obviously, it would be silly to have a wolf man terrorizing the neighborhood in his pajamas (but think about it: wouldn't pajamas be the most logical attire for a werewolf?). But the inconsistencies add up. I know what you're thinking: Come on, Uncle Mike, it's a movie about a guy who turns into a wolf and another guy who was made from sewn-together corpses. You can't demand realism from the screenplay. Except....of course you can. In fact, the more absurd the premise, the more important it is that the internal logic holds up. Because the audience is being asked to buy something patently ridiculous, the small details surrounding it become more important, not less important. 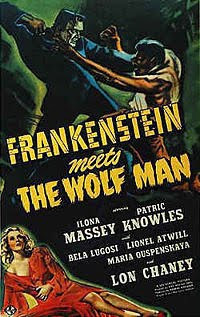 But in spite of the plot holes and the lackluster production values, Frankenstein Meets the Wolf Man is at least a passable entry in Universal's horror-film cycle of the early 40s. Lon Cheney, Jr. is at his best here as the beleaguered Lyle Talbot, and Ilona Massey projects a strong, aristocratic flair as Lady Frankenstein. She didn't have much of a career after this movie, and it's a shame -- she's very likable here. Lionel Atwill, a criminally underutilized presence in these films, is seen all too briefly as Vasaria's sensible mayor. Maria Ouspenskaya is, of course, wonderful as Maleva. And if you pay attention you'll notice Dwight Frye as an honest, hard-drinking native of Vasaria. The most remarkable bit of casting is that of Bela Lugosi in his first and last outing as Frankenstein's monster. Lugosi had famously turned down the part when it was offered to him following the success of Dracula (1931) and it must have been humiliating for him to don the makeup after Karloff's departure. Sad to say, Lugosi isn't up to the task. 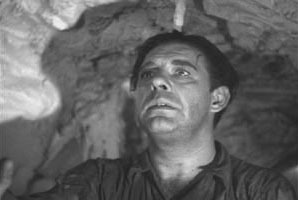 He stomps around and snarls and mugs, missing the subtlety and the pathos that Karloff had provided. Moreover, Lugosi was now 60, and seemed older than that; the shoot was extraordinarily grueling for him, and a stuntman had to be brought in to replace him for a number of scenes. Adding insult to injury, from Lugosi's perspective, the original screenplay called for Lugosi's monster to speak. 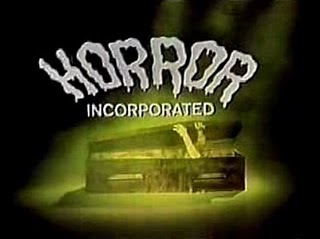 Test audiences didn't take this well; hearing the monster suddenly spout dialogue (especially with a thick Hungarian accent) caused titters at the early screenings, and all the monster's lines were cut. And nobody noticed. Curt Siodmak preferred to lay the blame for the removal of all The Monster's dialogue scenes on Lugosi's accent, rather than the ludicrous lines the actor was stuck with. The writer definitely short changed The Monster, reduced in stature and screen time (9 minutes here) with each successive entry. At least The Wolf Man has more footage than anywhere else, making this film far better than it had any right to be. Dwight Frye exits the series with his biggest role since BRIDE OF FRANKENSTEIN, while Lionel Atwill remained a mainstay until the end. Lugosi would return to the studio one more time, reprising his Dracula in ABBOTT AND COSTELLO MEET FRANKENSTEIN. 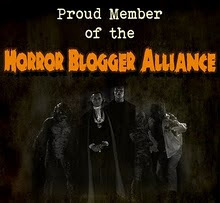 This was the inspiration for Paul Naschy's dedication to the genre, leading the Spanish horror revolution of the 1970's.